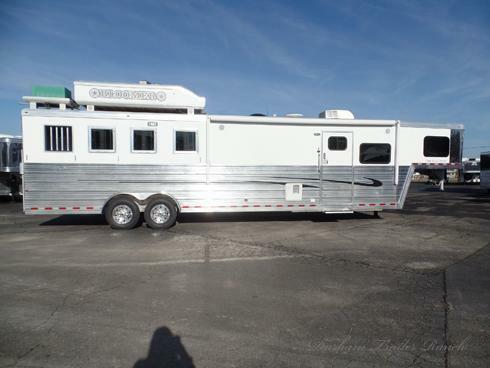 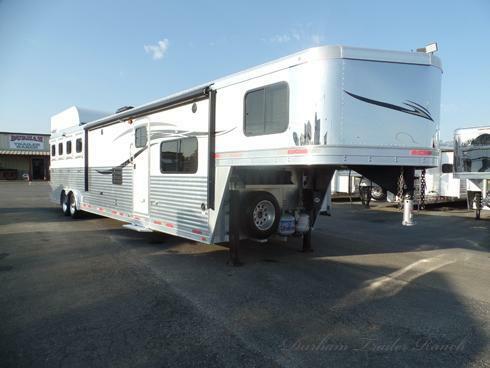 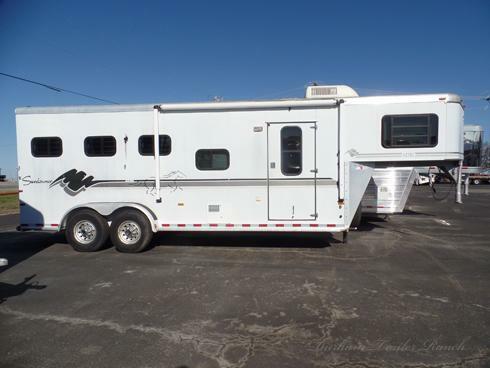 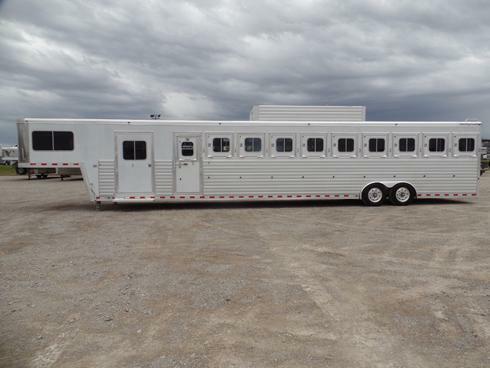 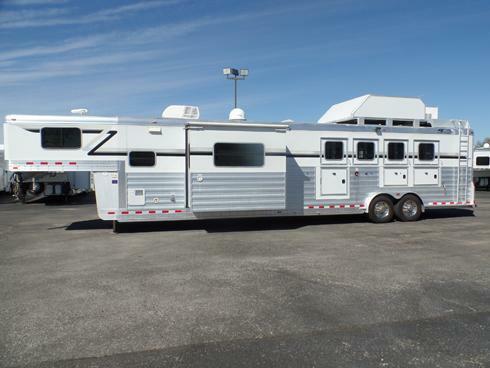 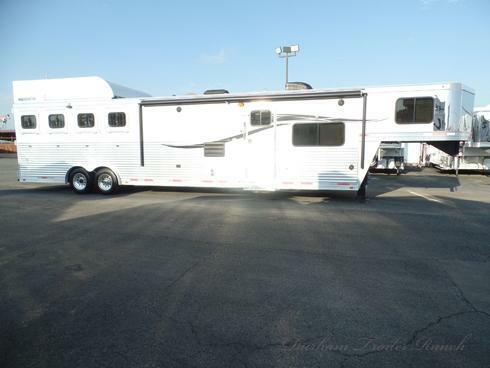 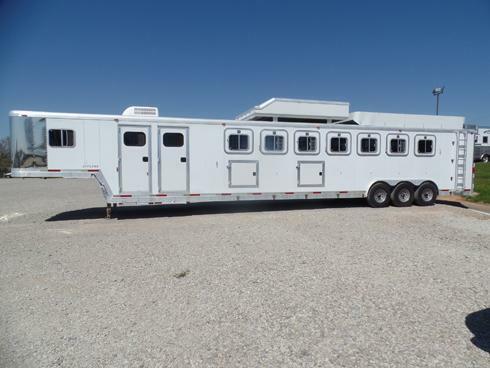 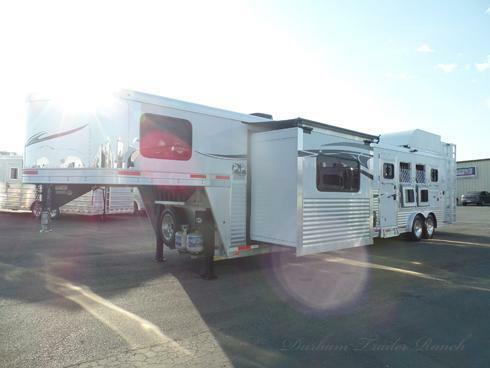 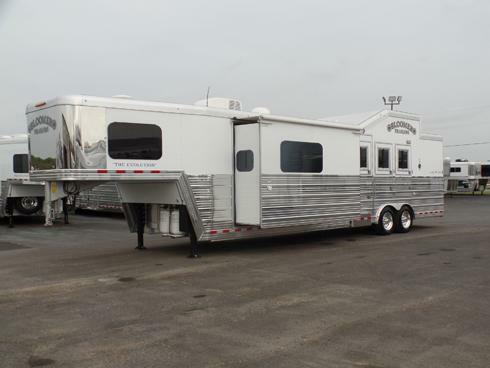 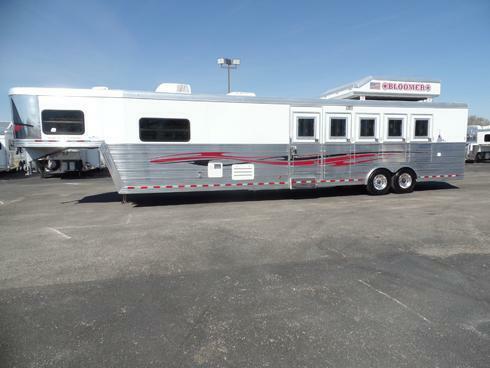 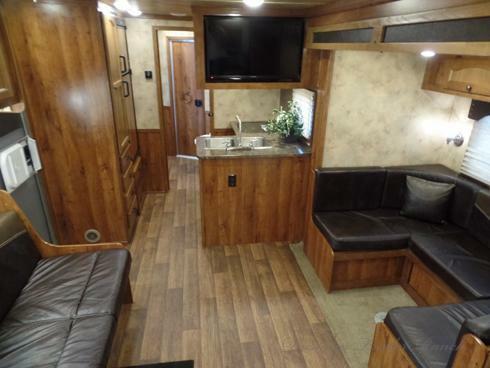 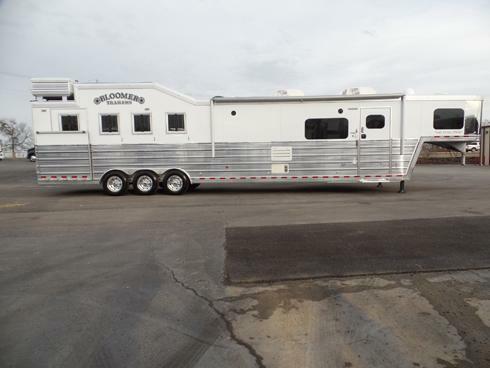 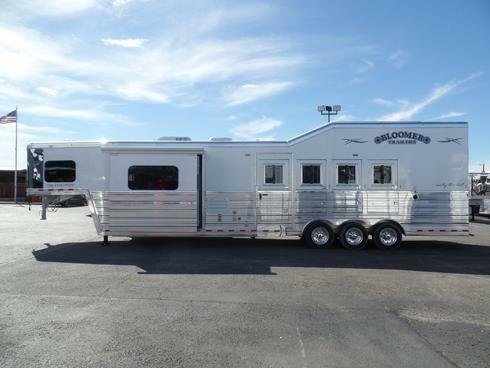 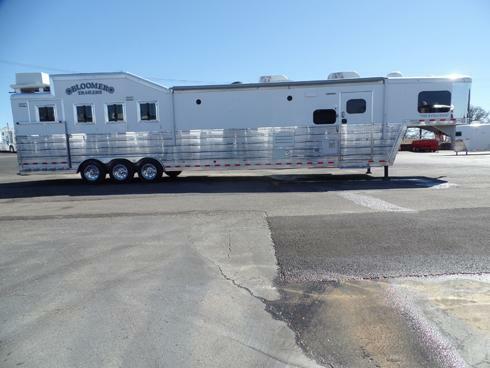 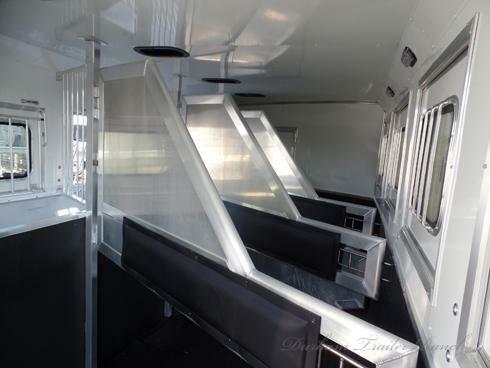 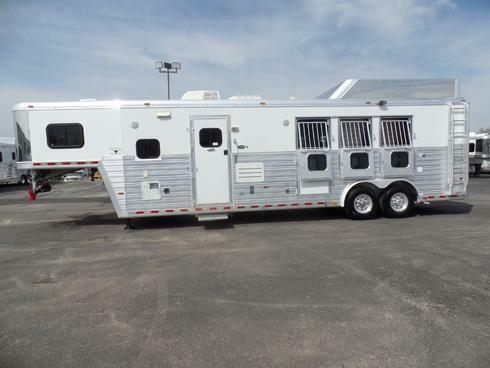 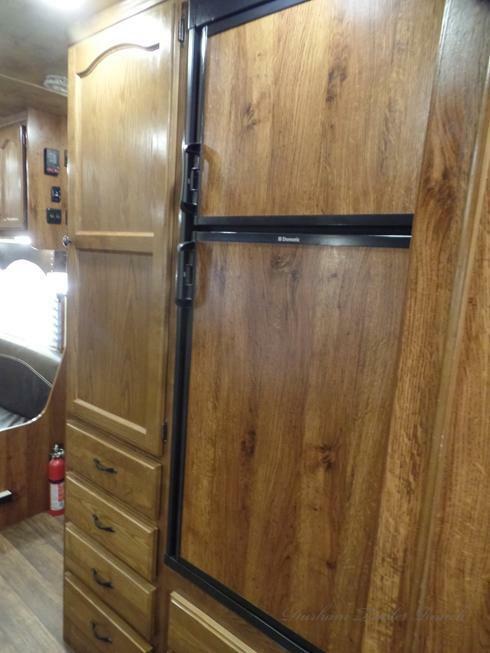 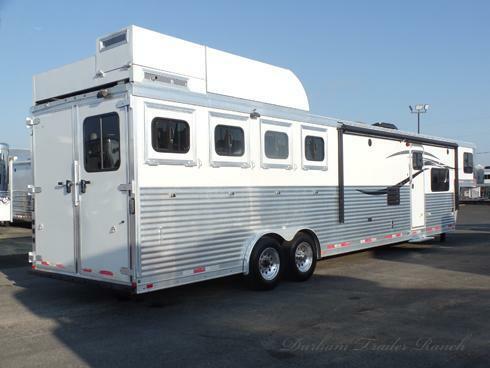 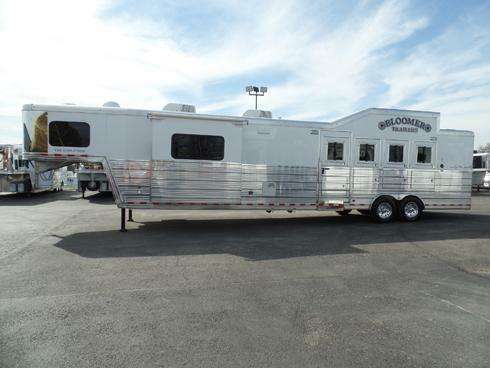 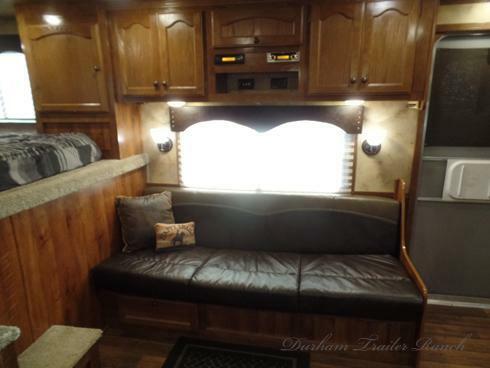 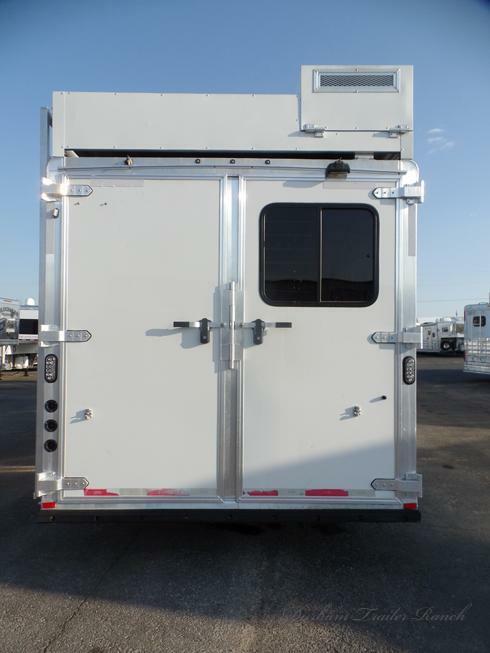 2015 Lakota 4 Horse Trailer with a 15'10" Short Wall. 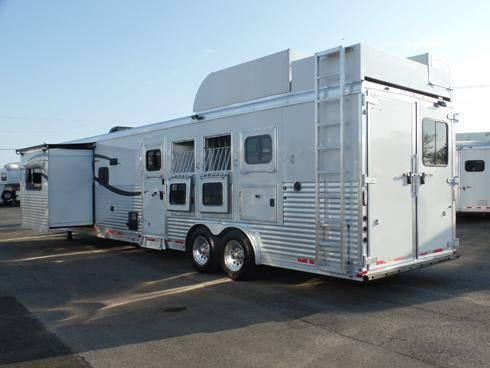 Roof Mounted Onan 4K Generator with 449 Hours, 19' Electric Awning, and 6' Hay Pod. 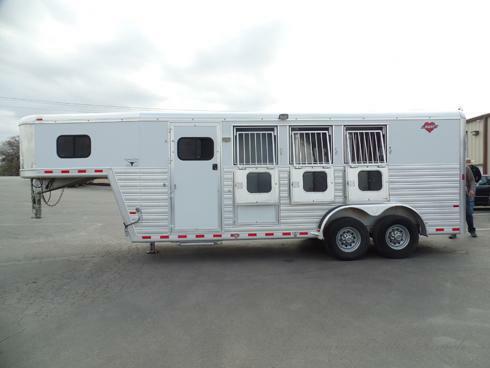 50/50 Collapsible Rear Tack with a 4 Tier Saddle Rack, 5 Blanket Bars, 2 Brush Trays, and 10 Bridle Hooks. 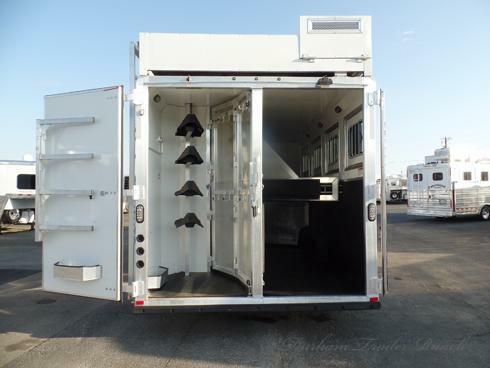 Drop Windows on Head and Hip Sides, Stud Divider, Mangers, Escape Door, Bulk Head Door to Living Quarters, Flow-Through Face Shields with Solid Withers, 4 Overhead Vents, and 3 Lights. 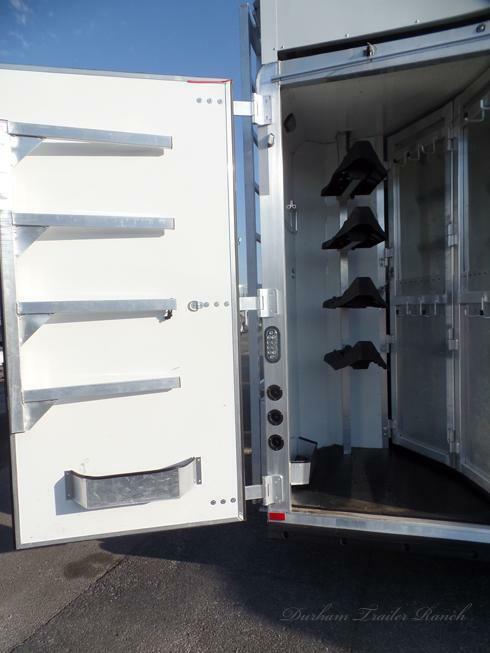 17.5" Aluminum Wheels, 30 Amp Service, LED Lights, Dual Hydraulic Jacks, 3 Batteries, and Dual 20# Propane. 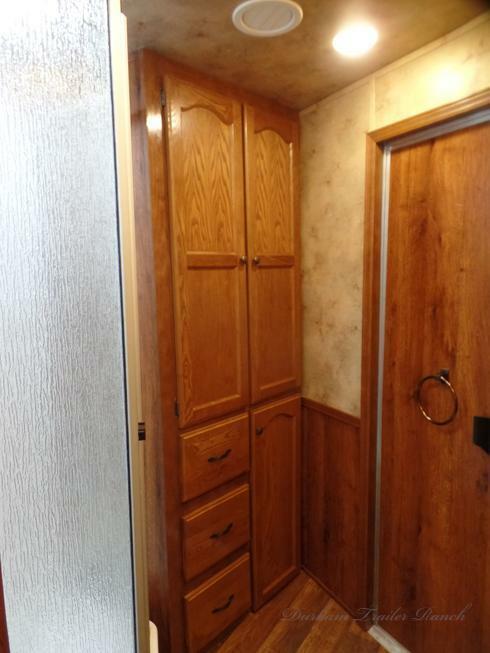 7'6" Tall, 8' Wide. 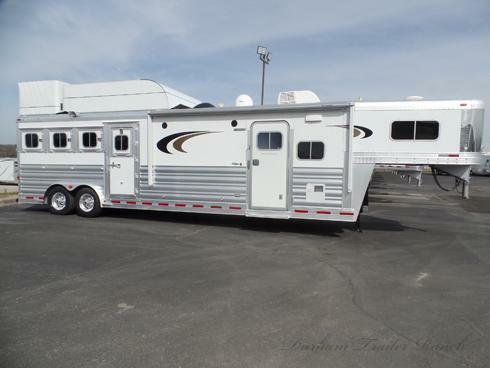 Lakota Conversions with a 15'10" Short Wall and 7' Electric Slide. 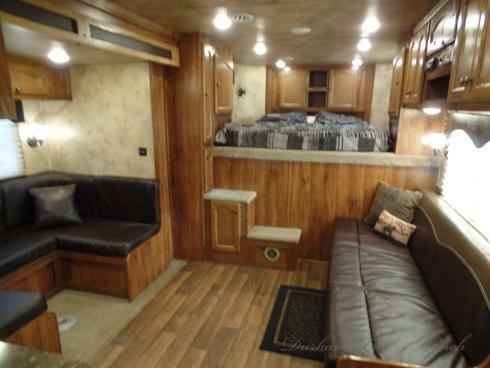 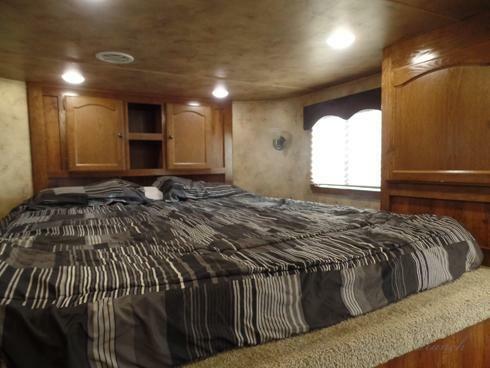 72" Sofa Sleeper, 68" U-Shaped Dinette Sleeper, and Queen Mattress in Nose. 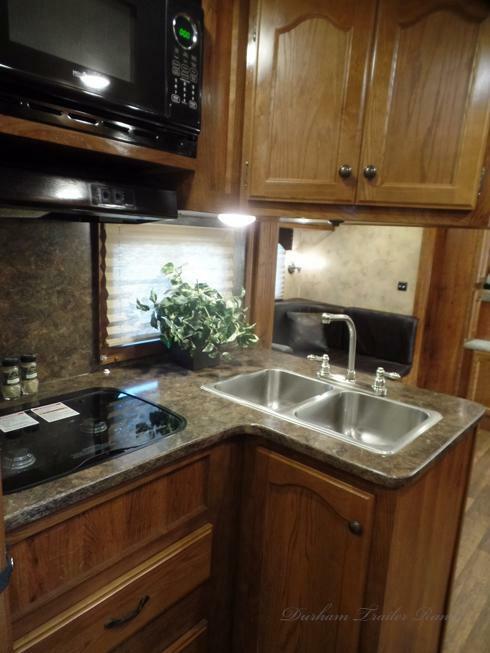 Double Kitchen Sink, Cooktop with Vent Hood, 6.0 Refrigerator/Freezer, and Microwave. 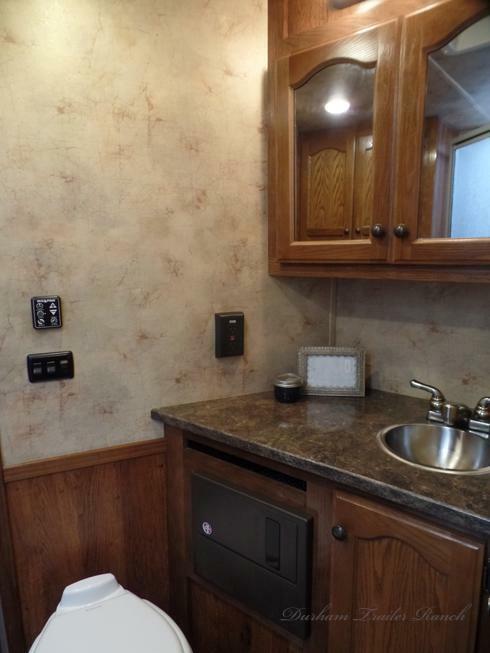 Neo Angle Shower, Commode, Vanity with Stainless Steel Sink. 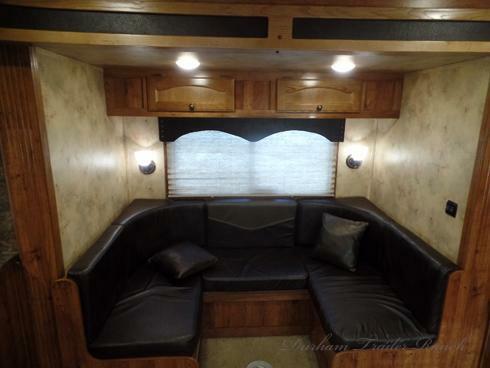 TV, DVD, Stereo with Interior and Exterior Speakers, Ducted Air and Recessed Lights.